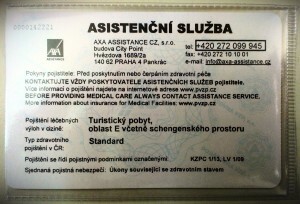 Health insurance Company Pojišťovna VZP, a.s. (abbreviation: PVZP) was established as a subsidiary company of Všeobecná zdravotní pojišťovna České republiky (English translation: General Medical Insurance Company of the Czech Republic) (abbreviation: VZP ČR). 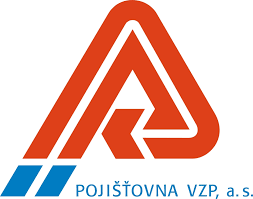 VZP ČR is the biggest health insurance company in the Czech Republic which provides the public health insurance for citizens of the Czech Republic or for foreigners who have already obtained permanent residence in the territory of the Czech Republic. In this article we closely describe insurance products which insurance company Pojišťovna VZP, a.s. offers for foreigners and we compare them with other rival Insurance companies in CZ. The difference between VZP ČR and PVZP? VZP ČR gave contracted health insurance – insurance of medical expenses abroad and health insurance for foreigners. From the year 1993 they built a very strong position in the Czech market. However in the year 2004 came an amendment of the Czech law, which no longer enabled them to provide commercial health insurance for foreigners (VZP ČR as the public health insurance must not provide commercial insurance). The decision of management to solve this problem was to establish the subsidiary company PVZP – Pojišťovna VZP, a.s., which separately provides commercial health insurance for foreigners. PVZP took over the distribution site with all commercial insurance products after VZP ČR. In comparison with other rival insurance companies PVZP provides more expensive health insurance for foreigners but the higher price is balanced with the largest site of contracted medical facilities and uninterrupted assistance services, which are provided by the renowned company AXA ASSISTANCE. PVZP is also one of the most well-known insurance companies in the Czech Republic. Foreigners Basic Medical Insurance contains compensation for the costs and acute and emergency healthcare with hospitalization in all medical facilities in the Czech Republic. It is equivalent to the Acute and Emergency healthcare. It contains uninterrupted assistance services from AXA ASSISTANCE. 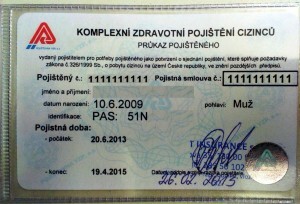 Territorial validity can be either in the Czech Republic or states of the Schengen area with transit states. It is suitable for every age category. For how long can I arrange Foreigners Basic Medical Insurance? It can be arranged from 1 day to 36 Months. The Maximum of insurance limit from 1.7 milion up to 2.1 milion Czech Crowns for one insurance event. This insurance product is focused only for acute and emergency healthcare. So, it means that does not contain healthcare connected with pregnancy, childbirth and dental care. Preventive examinations and vaccinations which are not directly connected with treatment are also excluded. Transplantations, hepatitis and venereal diseases are also not covered. Comprehensive health insurance from PVZP provides similar coverage as public health insurance for Czech citizens. What does this insurance product include? For how long is it possible to arrange comprehensive health insurance from PVZP? Comprehensive health insurance is possible to arrange from 4 months to 5 years. Additional insurance of medical expenses for Schengen area. Additional limit per one insurance event from 1.7 million to 2 million. Comprehensive health insurance does not cover costs connected with health resorts, homeopathy and acupuncture. In exclusions are also included pregnancy care after childbirth if you do not arrange additional insurance ‘Newborn baby’. In exclusions are also diseases connected with health problems, which had emerged before insurance or during waiting period. Also, your health insurance is not valid in case you were injured due to crime, which you commit or in case you were injured due to alcohol or narcotics. Unique product comprehensive health insurance for foreigners EXLUSIVE is insurance which is totally similar to public health insurance for citizens of the Czech Republic. This comprehensive health insurance from PVZP is broaden for additional useful services and can be arranged for every foreigner without difference of age, who want to be high quality healthcare. Health insurance EXCLUSIVE does not cover treatment which is not medically accredited. The same applies to cosmetic interventions and health resort treatment. Also, excluded is diagnosis and treatment of venereal diseases. Health insurance further excludes medical treatment of psychological health problems and expenses connected to psychotherapy.